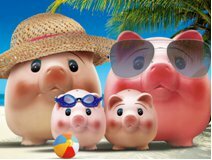 The Pigwig Family are the official mascots of insurewithease.com. They are husband and wife, Trevor and Trudy and their two children, Benny and Penny. The Pigwigs love to travel! Follow them on their own Trevor Pigwig's Facebook fan page and keep up to date with their adventures! Or follow the official insurewithease.com Facebook fan page for updates on travel news, tips and holiday ideas. 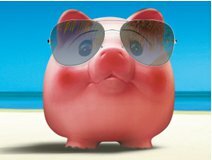 Sign up to the insurewithease.com Facebook fan page to keep up to date with travel news, tips and holiday ideas. Sign up to Trevor Pigwig's Facebook fan page to follow his family's holiday adventures all over the world!